Anke Reinhardt is Deputy Head of Information Management and Director of Evaluation and Monitoring at the German Research Foundation (DFG). She holds a Diploma in Social Sciences from the University of Goettingen. In her position at the DFG, Anke Reinhardt overlooks the DFG’s evaluation and monitoring procedures and coordinates a large variety of evaluation studies. She has contributed to the development of evaluation instruments and has published on various aspects of evaluation and research funding. From 2014 to 2017 she served on the Advisory Board of the EU-funded Project “SATORI – Stakeholders Acting Together On the ethical impact assessment of Research and Innovation”. Previously, she chaired the European Science Foundation (ESF) Member Organisation Forum on the Evaluation of Publicly Funded Research and authored the 2012 ESF report on “Evaluation in Research and Research Funding Organizations: European Practices”. 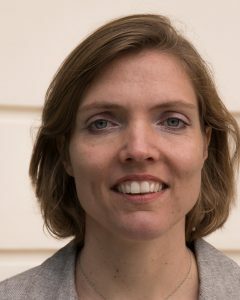 Before joining the DFG in 2006, Anke Reinhardt worked in policy analysis in the field of labour market policy and structural change.